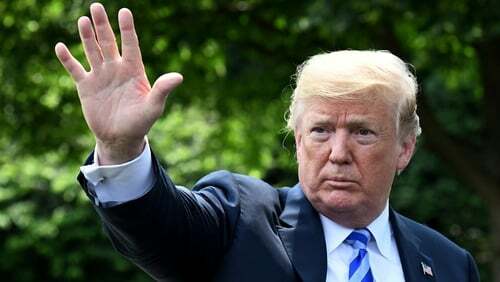 "Trump remains a wily competitor"
As the field of Democratic candidates seeking the US presidency grows by the week, the great question remains how they can counter Donald Trump and remove him from the White House in 2020. The election may be nearly two years away, but the protracted process of assembling campaign funds and support, testing the waters in Iowa and New Hampshire and creating or enhancing a national profile is well underway. Elizabeth Warren of Massachusetts jumped in first, followed by formal declarations from Tulsi Gabbard of Hawaii, Julián Castro (former Housing Secretary in the Obama administration), and Kirsten Gillibrand of New York. Cory Booker (New Jersey) and Kamala Harris (California) may enter the race. Beto O’Rourke is much talked of after his valiant—if ultimately unsuccessful—campaign in Texas against Republican incumbent Ted Cruz. Previous presidential candidates Bernie Sanders of Vermont and former vice president Joe Biden will have to decide whether to reenter the fray. To devise a winning strategy, it is tempting to begin with Trump himself and how to exploit his weaknesses, but there are some more basic hurdles to consider that deserve attention. The first of these is overcoming the odds. Incumbents normally get re-elected. The last sitting president to fail the test was the late George H.W. Bush in 1992, but this came after 12 years of Republican rule. We have to go back to Jimmy Carter in 1980 for a proper precedent. The second challenge is selecting the proper nominee. The American system for doing so is chaotic, expensive and extremely protracted. In a parliamentary system, parties select their leaders through various processes and, when a general election is announced, they are ready to run their campaigns, which may last as little as three weeks. In the US, the lengthy schedule of primaries (some configured as "caucuses" and others as straight votes) starts in Iowa before heading east, south and across the country, before ending at the national convention. Will embedded sexism limit the capacity of female candidates to establish a rapport? Meanwhile, there is the congressional leadership with its own agenda. The House of Representatives now has Nancy Pelosi as Speaker, but the Senate remains in Republican hands, with Chuck Schumer as Democratic minority leader. Co-ordination of these forces, especially in the Trump era, is no easy matter. What qualities should the Democrats seek in their ultimate nominee? Much attention has been placed on the question of where they stand ideologically—should the energies released by Sanders on the left be captured and developed, or would a centrist candidate find a way to attract moderate Republicans, fed up with Trump? Others with particular appeal to important minority groups have a claim to consideration, given Barack Obama’s strength in turning out the vote in these constituencies (and Hillary Clinton’s comparative weakness). From RTÉ 2fm's Dave Fanning show, Marion McKeone on the reaction to Hilary Clinton's book "What Happened"
But I would suggest a different criterion. Rather than focus on ideology, the real challenge is to find someone with personal appeal. Doing so is no easy matter. But if we trace electoral outcomes back to the time of Ronald Reagan, it is striking that the country has elected leaders who resonated at some personal level and who appeared to speak with sincerity and conviction. Failed candidates who lacked this ability litter the record—from Al Gore to Mitt Romney to Hillary Clinton. By these standards, Democrats might look to O’Rourke, Harris, and the old standby Biden (who would probably have defeated Trump last time around). This raises another issue, whether embedded sexism limits the capacity of female candidates to establish such rapport. Warren, for example, is already being likened to Hillary in terms of a "lack of appeal". Trump's base has thus far proved immovable, but will that ardent support be enough to see him over the line? The other factor, as yet an unknown, is the role of independents in the election, which might prove decisive. Michael Bloomberg, the billionaire former Republican mayor of New York (who later became an independent and recently registered as a Democrat), may run, but so might John Kasich, former Republican governor of Ohio and a candidate last time around. He will face huge pressure from the Republican National Committee not to run against Trump as an internal party candidate. Now we come to Trump and the specific dilemma of how to dethrone him from his imperial presidency. His base has thus far proved immovable, but will that ardent support (coupled with Democratic voter suppression) be enough to see him over the line? The key consideration is clearly the investigation by Special Counsel Robert Mueller into possible collusion between the Trump campaign and administration and Russia, not to mention campaign finance violations. The jig may be up for Trump depending on how damning the special counsel’s eventual report proves to be. The scenario of possible impeachment proceedings, which could be initiated in the House under Democratic control, would likely founder in the Senate (as they did with Bill Clinton), but the cloud might yet engulf Trump. Stooping to pardon his son Don Jr., which might well happen, would also lay bare the corruption of the family. Forcing Trump to disclose his tax returns will prove difficult, despite Democratic control of the House, but it would serve to undermine his claims of business genius and reveal the true sources of his wealth. More significant would be a downturn in the stock market and economy. As it is, voters who supported him in 2016 in hard-hit industrial areas may rethink their vote, as well as farmers bearing the brunt of Chinese counter-measures in the Trump-initiated trade war. Some of the success that Democrats enjoyed in the November mid-term elections clearly came from the focus on issues like health care, not on Trump himself. The wisest strategy may be to let the electorate form its own opinions on Trump’s character and the maelstrom around his administration. Yet Trump remains, as Rupert Murdoch once said of another business leader-turned politician Silvio Berlusconi, a "wily competitor". A lot of people have lost money betting against him. The press may aspire to avoid playing the same indulgent game with him as they did last time, but his capacity to dominate the news cycle remains extraordinary. His unchecked use of invective constitutes one of his evident sources of appeal, including successful put-downs and belittling nicknames (e.g. "Pocahontas" for Elizabeth Warren) that tend to stick. Whoever he faces can be guaranteed to receive this treatment. The truth is, we don’t know what he’s capable of. In Trump’s world, being a loser is intolerable. This is one of the reasons why nothing can ever be his fault. There is no telling what he may do in his re-election campaign, no matter who the Democratic nominee ends up being. In other words, the worst may be to come.